Rear Admiral Ferg Norton, a native of Raleigh, NC, graduated from the Navy ROTC program at the University of North Carolina, Chapel Hill. He qualified as a naval aviator in 1962, and served in various aircraft squadrons, ships and shore assignments during a Navy career of thirty-two years. He flew 94 combat missions during the Viet Nam war, and accumulated 5,500 hours of flight time and more than 800 carrier landings, mostly in the F-4 Phantom II jet fighter. His at-sea experience includes duty aboard a destroyer, cruiser, battleship and aircraft carriers sailing primarily in the Atlantic, Pacific and Indian Oceans as well as in the Mediterranean Sea. Other assignments include tours in the Washington headquarters of the Office of the Chief of Naval Operations, the Navy Bureau of Personnel, in the operational test and evaluation of Navy fighter aircraft radar and missile systems, an exchange tour with the U.S. Air Force as an F-4 instructor pilot, as commanding officer of two F-4 squadrons, as Commanding Officer, Naval Air Station Oceana, Virginia, Commander, Naval Safety Center, and Commander, Fleet Air Caribbean, in which he was responsible for four Navy bases in the Caribbean Sea area. He has earned a Master of Public Administration degree from the George Washington University and is a graduate of the Industrial College of the Armed Forces in Washington, D.C.
Admiral Norton retired from active military duty in December, 1993. Since that time, he has participated in defense-related consulting work and managed family business and property. Beginning in early 1996, he has been involved with the First Flight Centennial Foundation, a North Carolina-based non-profit organization whose mission has been to raise funds to increase public awareness of the aviation achievements of the Wright brothers, to make improvements to Wright Brothers National Memorial and to support the events of the December, 2003 commemoration of the 100th anniversary of the Wright brothers’ first powered flight at Kitty Hawk, NC. 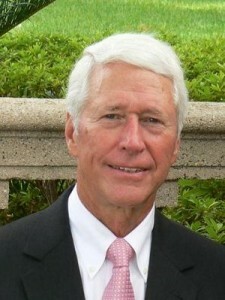 He was Executive Director, First Flight Centennial Foundation from 1998 to 2005. Re-named the First Flight Foundation, the organization has raised over five million dollars from public, private and corporate sources to support its mission. Admiral Norton’s responsibilities included all aspects of the Foundation’s business including planning and staging the major events of the re-dedication of the Wright Monument in 1998, and the 100th anniversary of the Wright brothers’ first powered flight in 2003. Also accomplished were construction of major improvements at Wright Brothers National Memorial, management of an active merchandise licensing program, a commemorative coin program in conjunction with the U.S. Mint, legal matters involved with intellectual property, contracts for licensing and agreements governing the public-private partnership with the National Park Service. He was a key figure in relationships with the national Centennial of Flight Commission, Congressional interests, state and local governments, private businesses, major corporations, state, military and national organizations related to the Centennial. Currently, he is Vice President of the First Flight Foundation.